Hearst has given UK CEO James Wildman 'a mandate for transformation' and the magazine newbie is eager to implement it. James Wildman still likes to take the lift to the ground floor to greet his visitors, even though the former TV ad sales man is now a chief executive. He is beaming in the lobby of Hearst UK’s home, off Carnaby Street in Soho, where he arrived in April. Wildman had no experience of what he calls the "lovely" world of magazines but then he hadn’t worked in newspapers before he started as chief revenue officer of Trinity Mirror in 2014 or in online before he became UK and Ireland managing director of Yahoo in 2011. And he is impatient for change. Welcoming Campaign into his office, he admits finding the warren of small rooms in the building, Hearst’s home for the past four decades, "dated". Moving the nearly 1,000-strong team next year from several locations to LSQ on Leicester Square, which was agreed just as Wildman joined, can’t come soon enough for him. Our business felt a bit like 22 businesses under one roof. Our opportunity to become ever more relevant to commercial customers and consumers is to be like one business with 22 iterations. Hearst, founded in 1910 in the UK and in the 1880s in the US, has given him "a mandate for transformation", he says. The owner of 22 British titles, including Good Housekeeping, Elle, Harper’s Bazaar and Esquire, reported a £5.4m loss and a 4.8% drop in revenues to £282m in its last UK accounts. His aim is to grow share in print to stem decline, accelerate growth in digital, diversify revenues through events and partnerships, and look at acquisitions. That will be tough when consumer magazines are facing ad declines of more than 10% this year, money is flowing to Google and Facebook, and online influencers are chipping away at print brands. "We employ the best influencers," he shoots back, pointing out Hearst UK has a portfolio of trusted "lighthouse media brands". It still sells nearly five million print magazines a month and has an online audience of 17 million, he says.Wildman insists nothing is "broken" and he has inherited a "fabulous" leadership team from Anna Jones, who left to set up her own business. But he has already reorganised the company by grouping some of the magazine brands together and letting go of 23 staff. "We’ve moved quite quickly," he declares. "Our business felt a bit like 22 businesses under one roof. Our opportunity to become ever more relevant to commercial customers and consumers is to be like one business with 22 iterations." In Wildman’s revised set-up, there are two content divisions – the "luxury, young women and health and wellbeing titles" and the "lifestyle & homes brands" – and an agency team with four "hubs" to serve the main media agency groups. Wildman reorganised ad sales in a similar fashion at Trinity Mirror. Clustering the titles will help collaboration editorially and commercially, he says, reeling off examples such as a Good Housekeeping recipe for gin and tonic cake that was repurposed as an online story for Cosmopolitan. "Hubbing is something we believe in," he says, and talks of "efficiencies", "better ways of working" and "an evolving production model". An ex-Hearst executive warns he is "in danger of taking the sizzle out" of the individual titles because the editorial lines between the titles could blur. Wildman says that won’t happen. However, the US parent company wants its teams around the world to create digital content that has the potential to travel. Wildman maintains the UK decides what to commission and publish locally. He showed industry leadership at Trinity Mirror where he attacked "printism", advertisers’ bias against print, and pushed rival newspapers to consider pooling ad sales. He worries that advertisers continue to switch money into direct response such as Facebook in search of a short-term return, instead of thinking about long-term brand-building, recalling Enders Analysis’ recent research for Magnetic. "I don’t want to criticise advertisers but, in the main, they have abdicated a lot of media buying decisions to their agencies," he says, arguing brands will do "significant damage" to themselves if they target audiences without context. "If advertisers abdicate responsibility, they’ll get what they deserve." He is optimistic because he detects "an increasing cynicism" about digital influencers who are paid to produce a lot of sponsored content while "our editors aren’t", he says. "Our influencers, our magazine editors, the magazines themselves, are on a completely different plane. Everyone talks about 100,000 Likes on Facebook. So what?" Wildman thinks the industry could be close to a tipping-point in recognising the value of "genuine editorial independence" over "influencer sponsorship". Cosmopolitan has become one of the most popular brands on Snapchat Discover in the UK and reaches two-thirds of millennial women in Britain, he claims. Hearst adds after this interview that it believes digital influencers do still play an important role. Wildman admits "the headwinds are tough" for online advertising. "I think we should charge for our premium content," he says, citing "the most extraordinary recipe archive" at Good Housekeeping as an example. But he says no paywalls are planned yet. About 70% of Hearst’s revenues still come from print and it remains "print-proud", he says. Five titles posted increases in the last ABC figures thanks largely to price cuts and a strategy dubbed "dynamic distribution" – giving away copies at targeted locations such as airport lounges and shopping centres – which he inherited. But there are costs and it is hard to increase ad yields, according to a rival. Wildman says less than 10% of Hearst’s circulation comes from dynamic distribution. He’s one of the best salesmen. But he’s more than a salesman. His relationships are second to none. He was ready to be a CEO. Diversification looks the best way to grow. Hearst runs about 100 events a year and he plans to focus on fewer, bigger events such as Esquire Town House. Merchandising deals such as a Country Living range of sofas with DFS have been a money-spinner. Hearst also wants to make more of Good Housekeeping’s respected accreditation team, which tests products. Its endorsements can drive sales for products such as Procter & Gamble’s Olay, which subsequently led to the magazine taking part in a TV ad. M&A is the other potential driver. Being a family-owned business that makes $12bn of annual revenue means Hearst is "a consolidator, not a consolidatee", Wildman says. He adds the investment in LSQ is "an extraordinary commitment" and hopes the new home can be a talent magnet. His mantra for Hearst, "Get more out of life", puts a dual emphasis on internal culture and benefit for the readers. Wildman grew up in Lingfield, Surrey, read business studies at Bristol Business School and got into media through "a lucky break". He says he is "still pinching myself" about becoming chief executive. A predecessor installed a personal bathroom in his office and he shows it off with a mischievous grin. Sceptics say Wildman made more noise than he delivered at Trinity Mirror, but his sales team was a major contender at last year’s Media Week Awards and won at Campaign Media Awards. 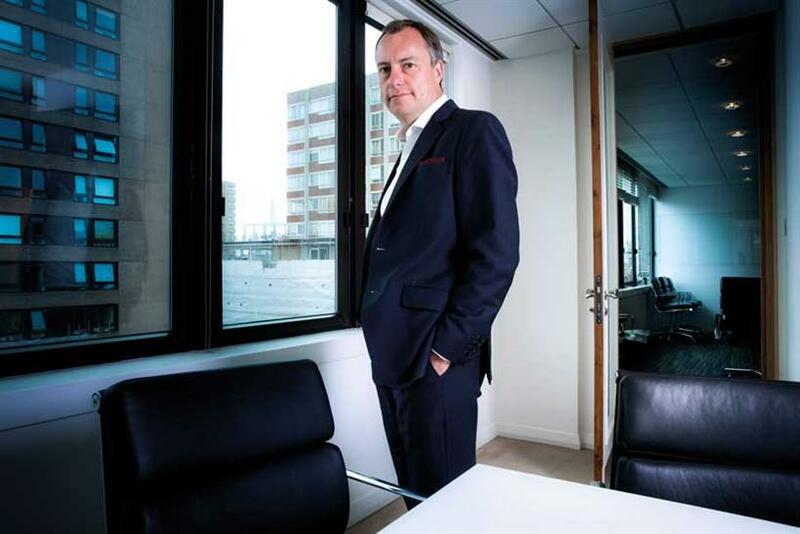 Claudine Collins, managing director of MediaCom UK, says: "He’s one of the best salesmen. But he’s more than a salesman. His relationships are second to none. He was ready to be a CEO." Stuart Flint, vice-president of EMEA sales for Oath, used to work for Wildman: "He loves change and making change happen. He is fun, motivational, allows autonomy and, most importantly, develops his people." Another ally thinks Wildman can be too upbeat: "Not every job he does can be great all of the time." Wildman is meeting a different type of advertiser compared with his Trinity Mirror days and has gone to Italy to see luxury brands. "He’s mass market," a rival upmarket publisher sniffs – a comment that fires up Wildman when relayed to him. He is a people person and that reflects how he sees Hearst’s brands. "Vogue is about the dress," he says about his competitor. "Elle is about the woman in the dress." But after his red-top days, he is under no illusion that magazines are all gloss. "I think it’s going to get more scrappy," he predicts.